Here we are in Week 4 of Exodus! 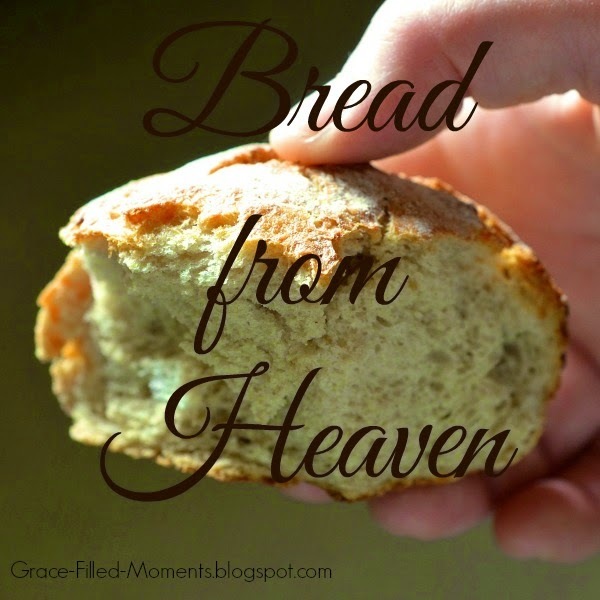 Today we are reading about bread from Heaven - manna provided by God to the murmuring Israelites. Isn't that a wonderful picture of the mercy of God?! God could have rained down discipline or even judgement in response to their sin. ...and manna in the morning! ...coming down from the Father above. ...but we have been given life. The mercy of God continues. Jesus tells us in John 6:35, "I am the Bread of Life; whoever comes to me shall not hunger." Is it the temporary things of this world - or the eternal things of God? 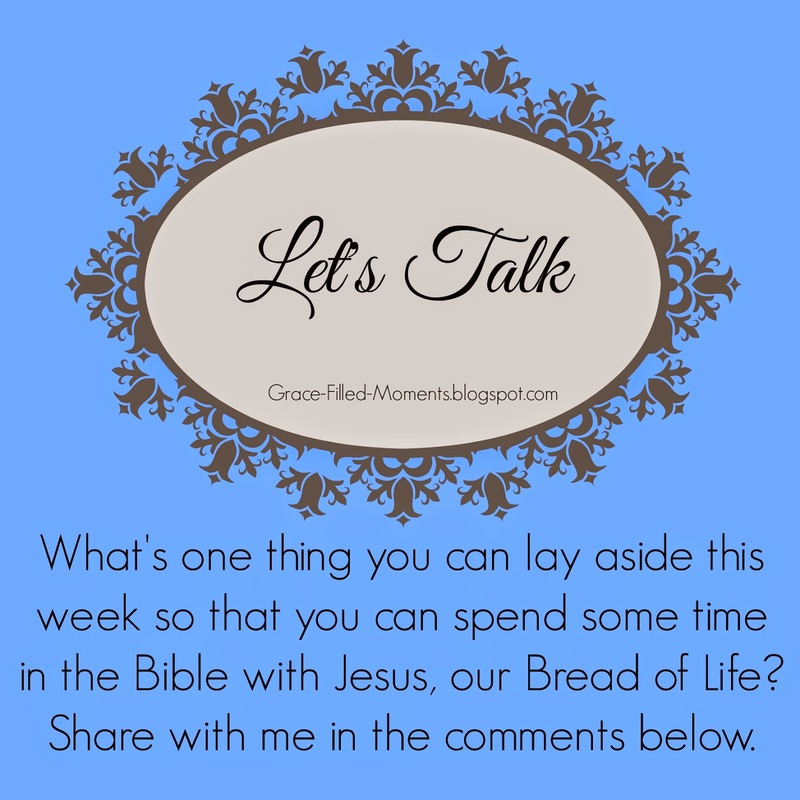 Let's choose wisely this week and make time for the Word of God. Observations: The children of Israel were a month into their journey of leaving Egypt. The provisions they had taken with them out of Egypt were probably almost gone and so they began murmuring against Moses and Aaron. Really they were murmuring against God. God heard their complaints and instead of raining down punishment or judgment, he extends His mercy and love. He provided the meat of quail in the evening; and manna – bread from Heaven – in the morning. Application: God is so merciful to us! How many times have we complained during the struggles of our lives? Yet, time and time again, God is faithful to provide all that we need. He extends His mercy and love to us despite our failures. Kneel: Heavenly Father, thank You for Your love and mercy! Forgive me when I grumble and complain about my circumstances. Help me to see that what You offer is so much better than the temporary trappings of this world. Thank You, Jesus, for being the Bread of my life and for feeding me with the truth. Help me to hunger for more of You this year. Help me to make time to daily be in Your Word. Show me the things I need to lay down so that I can sit at Your feet and drink from the cup in Your hand. Lord, I not only pray this for my life, but I pray it for the lives of others who have called on Your name. Continue to bless us with Your love and mercy. In the life-giving name of Jesus I pray. Amen! 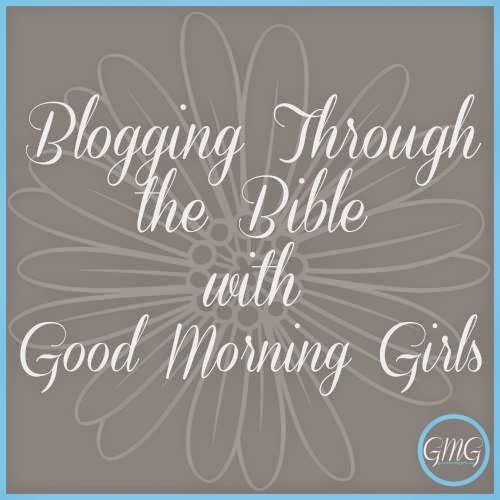 I'm linking up with Courtney Joseph over at Women Living Well, home of Good Morning Girls. Click on the image below to read her Friday post and other Blogging Through the Bible posts too! Yes, He is, Tara! Thanks so much for stopping by! Excellent post - lots of food for thought!! Thank you, Dr. Bengston, for your kind words. God's Word definitely gives us much to ponder in our hearts. Such wonderful insight thank you for sharing.